As it turns out quite a lot of people visit my blog because they are looking for search engine market shares around the world. Hence I decide to update the data every 6 months. Unlike previous posts, this time I will focus on Asia Pacific countries only. Before going into each country, if you are keen to learn practical & advanced knowledge of running a regional/global SEM campaign, I recently published an ebook titled “Search Engine Marketing in the Mobile Age” Sept 2015. You could refer to the report by comScore here if you want to know the source of the data. The report is a bit “old” from internet standard but it’s one of the official sources that I could find. 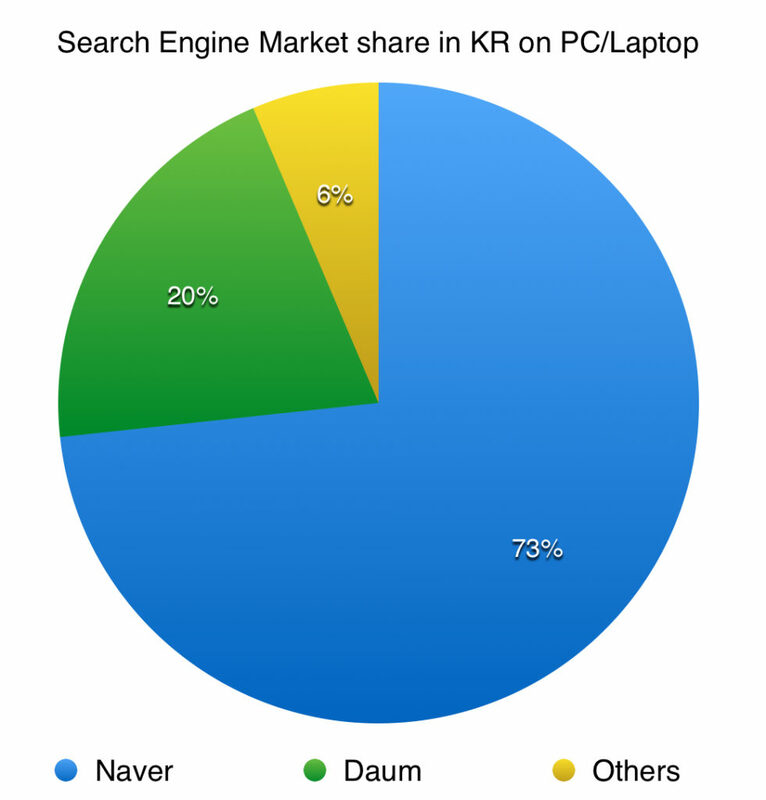 The below is the market share in Mar 2013. 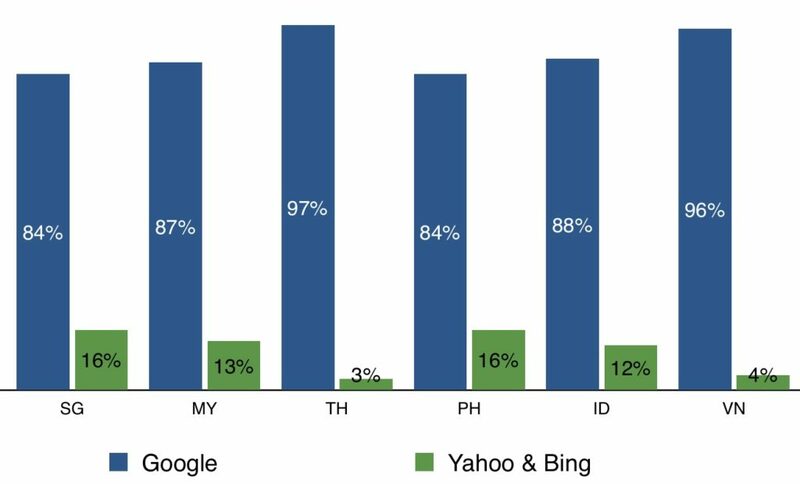 Google dominates all markets, followed by Yahoo & Bing. The landscape in North Asia is slightly more complicated than in SEA where Google and Yahoo dominate. We have quite a lot of local players especially in China and KR. 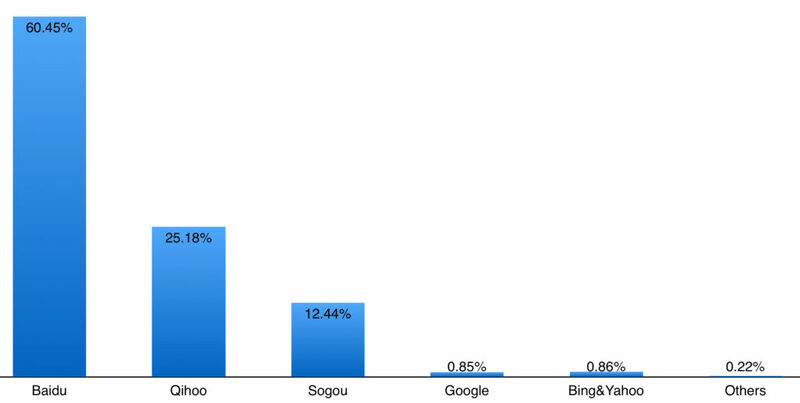 The top 3 are: Baidu, Qihoo and Sogou with more than 97% of the market share based on pageviews or unique visitors (data source CNZZ for May 2014). As you could see, China market is dominated by three local players Baidu, Qihoo and Sogou. The rest holds negligible share. If you run Search engine marketing campaigns in China, you would seriously need to consider going beyond Google/Bing/Yahoo. For Korea, it’s the same situation as China where local players are much stronger than international players i.e. Google/Yahoo/Bing. The landscape in JP, TW and HK are quite “simple” with Google and Yahoo dominate the markets. 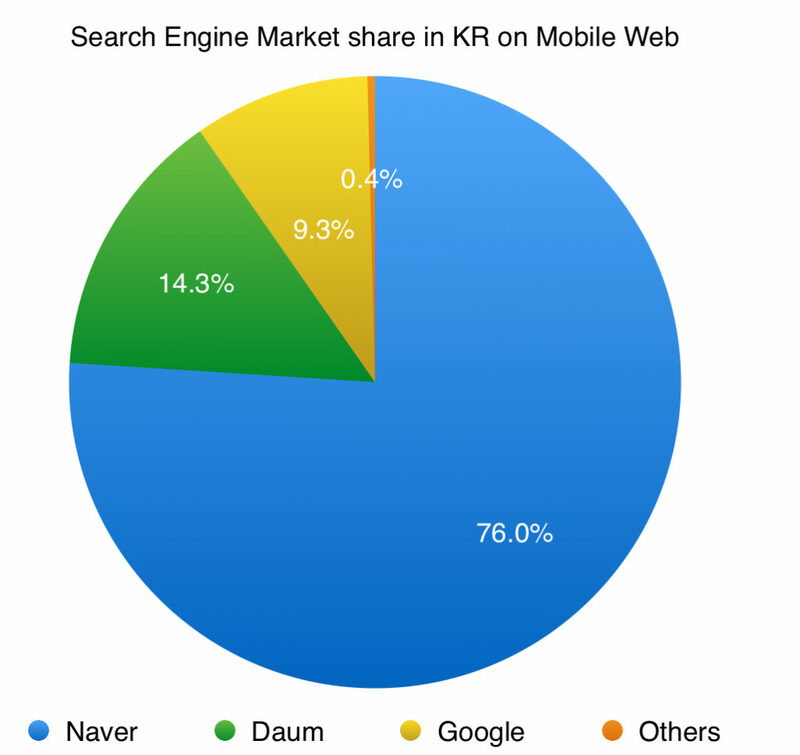 Data for JP is from Nielsen MegaView Search Mar 2013. This is for PC traffic only though, not mobile. As for HK, TW data, surprisingly I couldn’t find reliable public data sources for these two markets. Previously back in 2011, Google had 58% of the market share in HK, compared to 23.51% for Yahoo. One could guess that if the trend continues, we should expect the share for Google in 2014 to be around 70%? 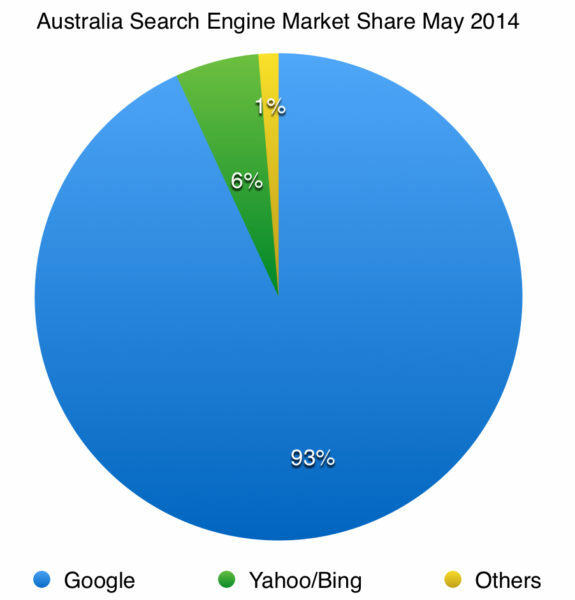 According to Stat Counter Global Stats and Mi9, Google continues to dominate Australia with 93.12% of the market share in May 2014, followed by Bing with 4.42%, Yahoo with 1.13%. This is the market share on Desktop/Laptop, not mobile traffic though. 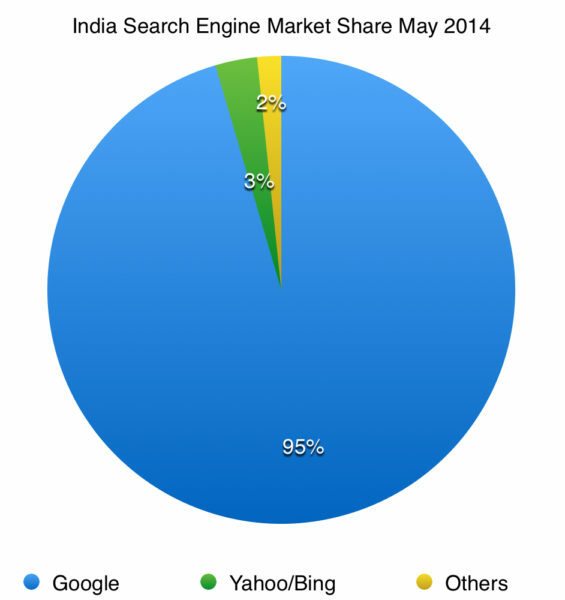 For India, Stat Counter reports that Google has 95.45% of the search engine market share for Desktop/Laptop, while Bing has 1.31% and Yahoo has 1.58%. That’s all from me for now. Again if you have any comments/questions, feel free to drop them below. P.S: you could refer to 2011 or 2013 versions here. March 21, 2013 When to use PPC and SEO?